The terms “Conservative” and “Liberal” are much abused, and, I fear, nearly obsolete, but this thread makes use of them anyway due to a lack of good replacements. I utilize them in hope that you will understand my meaning. Conservatives see people as possessing an ultimate inner essence, some inborn quality, be it your soul, nature, or DNA. This you can mold, but cannot fundamentally change. To put it in Christian terms (since most American Conservatives are Christian), through Free Will you can make good, moral, decisions, but you cannot change the fact that you are Fallen; only through an external Salvation-through-Christ can that be changed. In more mundane terms, through Free Will, or Virtuous Living, you can make the most of your inner essence. For example, even someone who was born dull–an unchangeable state–may be honest, hard working, and follow the advise of smarter people. A person with a tendency toward addiction may work hard to fight that addiction, avoid drugs entirely, and still live virtuously. In this view, your nature is like clay. You can’t trade it in for wood or steel or sand, but what you do with that clay, whether you turn it into a plate or a vase or sculpture, (or a splat on the ground) is up to you. By contrast, Liberalism (in its theoretical form) rejects the notion of an “inner self.” You have no inner essence. There is no “you;” only a set of interactions between your body and the rest of society. The identities people use to describe themselves, man or woman, gay or straight, black or white, Christian or not, are all “social constructs” created via your interactions with the rest of society. Like the Bohr model of the atom, your “inner essence” only exists when observed by others. For example: suppose a person of 100% sub-Saharan ancestry had a rare skin condition that made him look white. In his daily life, as he went about his business, he would be treated like a “white” person. Suppose, in addition, he had not been raised by a black family (adopted as an infant by a non-black family) and no one ever told him he was genetically black. Would he have any consciousness of himself as a “black” person? In Liberalism, your self is not like clay, but a point of environmental intersection where all of the things that have ever happened to you or you have perceived happen to meet. Conservatism contains a kind of optimistic belief that no matter how bad things are, “you” can, by dint of will, “pull yourself up by your bootstraps” and overcome hardships. You can exist separate from the bad things that happened and can create a good life. Conservatism therefore tends to approach life’s difficulties as a matter of “right living.” How to lead a good life? By doing it right. Clean your room. Be polite. Honor your mother and your father. Don’t covet. Liberalism contains a kind of pessimism that “you” do not exist separate from the bad events of your life, but rather are created by them. “Racism” is an essential part of what creates “black identity” and thus “black people.” While you can “redefine” and “reclaim” identities, you cannot simply “get over” a core part of your own identity. To do so would render yourself blank. Since Liberalism defines suffering as a core part of who people are, doesn’t tell them to reject it. Liberalism tends to approach life’s difficulties as a result of the confluence of societal forces that have all impinged upon a single body to produce that difficulty. For example, a rock does not fall off a cliff and hit a passing car simply because the rock contained some internal desire to launch itself off a cliff, but because a confluence of forces (mostly gravity) compelled it downward. Likewise, when people misbehave, it is because of external circumstances that have created that behavior, like historical racism, sexism, malnutrition, bad schools, etc. The solution is not to encourage “right behavior” (which is impossible) but to change thought patterns so that oppressive thought categories like “black” or “gay” will stop existing. In other words, if whites can be convinced to stop thinking that race exists, then they will stop being racist against black people, and black people in the future can exist with identities that don’t include racial suffering. In a slightly less abstract vein, when we ask “Why did psychology heartily endorse so many experiments that have failed to replicate?” many of those experiments conformed to the liberal, environmentalist view of human identity and behavior. 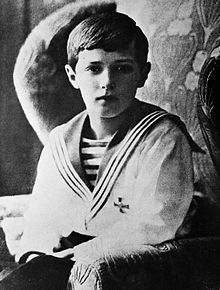 To give a bit of background: Pre-WWII, psychology was quite taken with Freudian notions that people have unconscious or subconscious thoughts and desires. Freudian ideas are hard to quantify and even harder to falsify, and thus test in any kind of rigorous, scientific way (though there are anthropological studies that have attempted this.) Post-war, mainstream psychology went in a different direction–skinnerian behavioralism–but behavioralism is boring because it treats people like black boxes and just looks at outcomes. The Milgram experiment on obedience to authority figures was a series of social psychology experiments conducted by Yale University psychologist Stanley Milgram. They measured the willingness of study participants, men from a diverse range of occupations with varying levels of education, to obey an authority figure who instructed them to perform acts conflicting with their personal conscience. Participants were led to believe that they were assisting an unrelated experiment, in which they had to administer electric shocks to a “learner.” These fake electric shocks gradually increased to levels that would have been fatal had they been real. As far as I know, the Milgram experiments have replicated relatively well, and so will not be further discussed. The much ballyhooed Stanford Prison experiment, however, has turned out to be much more questionable. The Stanford Prison Experiment became popular because it purportedly demonstrated that people’s behavior could be radically altered by even minor environmental expectations–in this case, being paid to pretend to be a prison guard for a few days turned people into raging psychopaths who tortured and abused their fellow students (“prisoners”) into mental breakdowns. Some of the experiment’s findings have been called into question, and the experiment has been criticized for unethical and unscientific practices. Critics have noted that Zimbardo instructed the “guards” to exert psychological control over the “prisoners”, and that some of the participants behaved in a way that would help the study, so that, as one “guard” later put it, “the researchers would have something to work with.” The experiment has also been criticized for its small and unrepresentative sample population. Variants of the experiment have been performed by other researchers, but none of these attempts have replicated the results of the SPE. Psychology is littered with other experiments purporting to prove that the environment has a large effect on how people act and feel in daily life. Take “priming,” the idea that you can change people’s beliefs or behavior via very simple stimuli, eg, people will walk more slowly and shuffle their feet after reading words related to old people; or “power posing,” the idea that you will be more assertive and effective at work and negotiations after adopting a Superman or Wonder Woman type pose in front of the bathroom mirror for a few minutes. Phrased optimistically, if “you” can be shaped by negative experiences, then “you” can be re-shaped by positive ones. None of this is replicating. It’s not that “priming” can’t exist (I’m actually certain that in some form it does, otherwise advertising wouldn’t work, and studies show that advertising probably works,) but that the extreme view assuming that people possess no true inner essence is flawed. A moderately shy person might be able, with the right ritual, to “pump themselves up” and do something they were too shy to do before, like give a presentation or ask for a raise, but a very shy person might find this completely ineffective. Both people and their circumstances are complicated. Sometimes people DO react to environmental stimuli, and sometimes people DO overcome tremendous odds. Sometimes people who were abused abuse others, and sometimes they don’t. 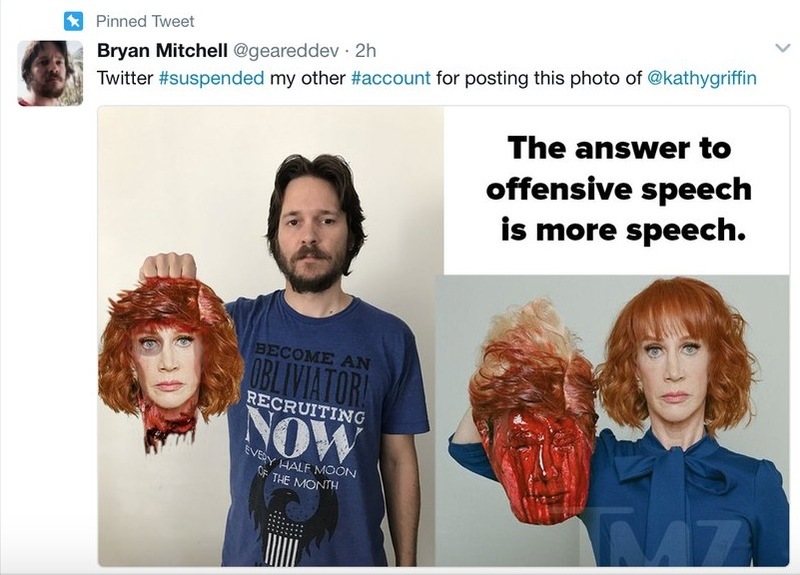 Liberals find repellant the idea of insult*, not because they refuse to be crass or impolite–they are perfectly skilled at being both–but because to say that something is bad and outline the traits that comprise its badness is to say that one thing is better or worse than another thing and that there are certain traits which are, inherently, better or worse than others. Such judgmentalism does not jive with the quest for full equality–equality of spirit, body, and soul. There’s one strain of thought which holds that liberals (and perhaps conservatives) are a specific ideology that has been transmitted over the centuries, and another that liberality and conservativeness are just personalities that people happen to have. I’m sorry, I forgot who wrote this. If you know, please let me know so I can credit them properly. Looking back at American history, there’s one big group of whites that harnessed the power of the Federal government to oppress another big group of whites, in what was likely the largest of all internal American events other than the conquering of the country itself. 600,000 white people died in the process of one group of whites imposing its values on another group of whites. I happen to agree with the victors that slavery is a great moral evil, but I note that most other western countries managed to end slavery without slaughtering their own people in the process. Now let me stop and declare outright: I am not a Civil War historian, and I know there are thousands, perhaps millions of people more knowledgeable on the subject than I am. I do know, however, that Southern secession was motivated by fear that the North would outlaw slavery and use the power of the Federal government to enforce it. The war produced at least 1,030,000 casualties (3 percent of the population), including about 620,000 soldier deaths—two-thirds by disease, and 50,000 civilians. Binghamton University historian J. David Hacker believes the number of soldier deaths was approximately 750,000, 20 percent higher than traditionally estimated, and possibly as high as 850,000. The war accounted for more American deaths than in all other U.S. wars combined. 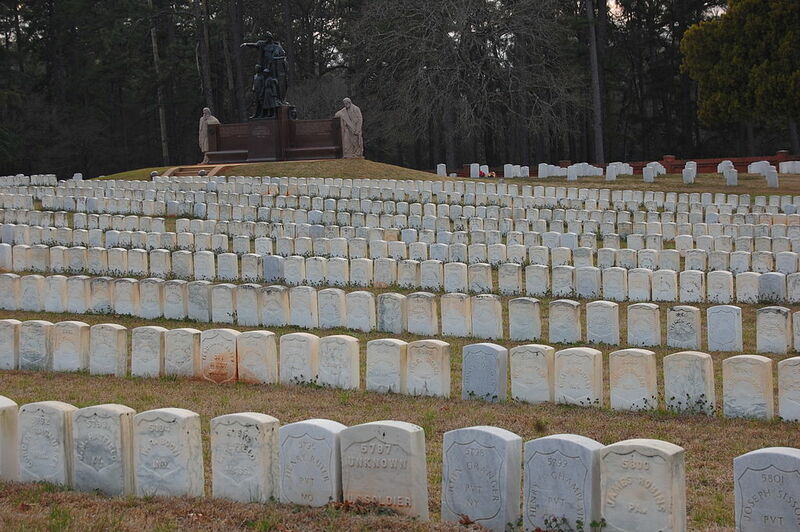 Based on 1860 census figures, 8 percent of all white males aged 13 to 43 died in the war, including 6 percent in the North and 18 percent in the South. About 56,000 soldiers died in prison camps during the War. 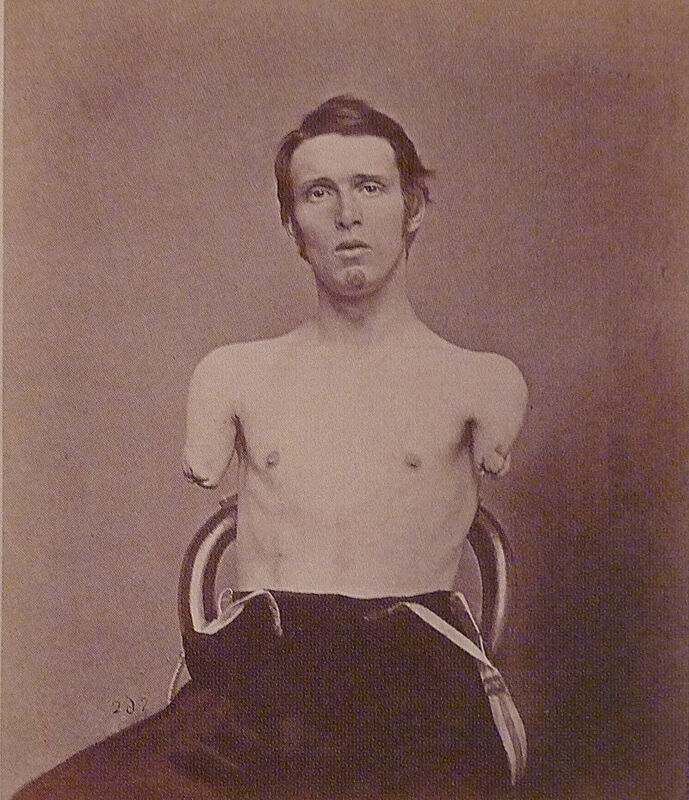 An estimated 60,000 men lost limbs in the war. as Downs shows in his book, Sick From Freedom, the reality of emancipation during the chaos of war and its bloody aftermath often fell brutally short of that positive image. Instead, freed slaves were often neglected by union soldiers or faced rampant disease, including horrific outbreaks of smallpox and cholera. Many of them simply starved to death. 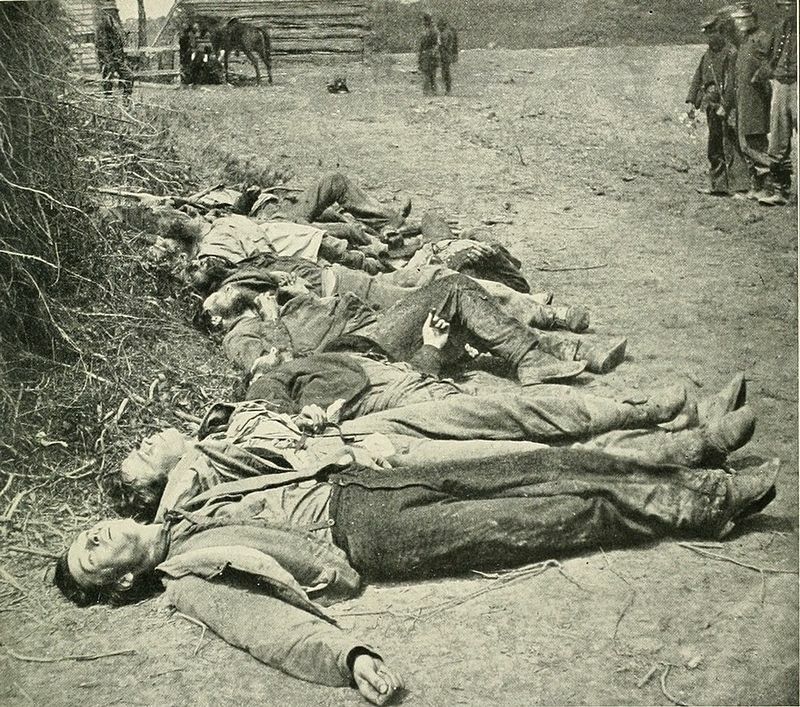 Things were so bad that one military official in Tennessee in 1865 wrote that former slaves were: “dying by scores – that sometimes 30 per day die and are carried out by wagonloads without coffins, and thrown promiscuously, like brutes, into a trench”. So bad were the health problems suffered by freed slaves, and so high the death rates, that some observers of the time even wondered if they would all die out. Perhaps Utley’s most acute realization in Odyssey, though on a trivial subject, is when she notices that her friend Bertrand Russell always uses the word “we” to refer to the government. She points out that this little linguistic tic is an unmistakable mark of any ruling class. Apparently this “nostrism” (if I can risk another obscure quasicoinage) was more unusual in the ’50s than it is now. Because, although I have tried repeatedly to break myself of the habit, I use exactly the same pronoun. It’s an unmistakable sign of my Brahmin upbringing. I can’t imagine counting the number of times I’ve heard someone say “we should…” when what they really mean is “the government should…” Language is repetition, and though my considered view is that it’s just as bizarre to define “we” as the US Federal Government, especially for someone who isn’t actually an employee of said entity, as it would be to use the first person plural for Safeway, Comcast or OfficeMax, habits die hard. Given that this is Moldbug, this is actually a short quote. More culturally, there are those who generally think the government is on their side and can be used to solve social problems, (or at least they did before Trump was elected,) and those who think the government is basically against them and creates social problems, and which side you’re on probably has a lot to do with whether or not the government marched in and burned down your great-great-great-grandparents’ farm in 1864. Today the South remains poorer than the North, which they blame on the long-term effects of the war and punitive reconstruction policies. (Which is about as true as the story about Japan being poor today because the US military bombed its cities to smithereens.) Nevertheless, much American politics can be simplified as a continuing conflict between poor southerners and rich northerners. 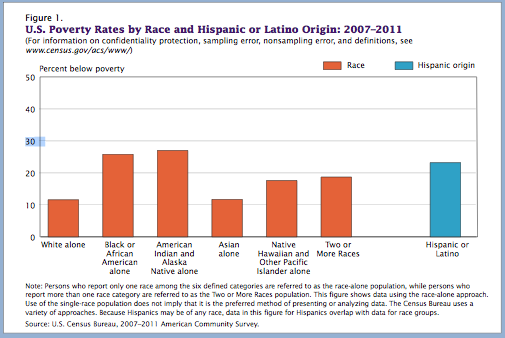 Obviously blacks, Hispanics, and Native Americans have the highest poverty rates, while whites and Asians have the lowest. And as you might have noticed, we still live in a democracy, where numbers matter. Summary: The side that thinks it imperative that we listen to their ideas for how government should end the poverty of black communities doesn’t understand why the white communities whose ancestors were invaded and killed by that same government, who are actually the biggest community of poor people in the US, disagree with them on the matter. This might just be coincidence. I’m certain there are other factors involved (including genetics.) But it might also be an important thing to keep in mind when trying to convince others of the importance of using the government to enforce social change. This is a theory about a general trend. Waitress: What would y’all like to drink? Lady: Oh, I’ll have a Coke. Waitress: All right, what kind of Coke? This post was inspired by a friend’s complaint that “Trump keeps saying untrue things,” to which I responded that the Hillary also says lots of untrue things. It seems to me that there is a distinct pattern in the kinds of untruths each camp engages in. 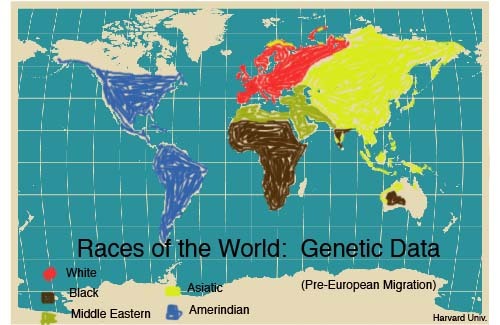 Ask the average liberal to define the races of man, and he’ll tell you that race is a social construct and that there’s more genetic variation within races than between them. Both of these statements are basically correct, (but see here) but in different ways. The Conservative misses the within-racial variety (and may draw the racial borders incorrectly, eg, assuming that north Africans or Australians are Black.) And the Liberal misses that race is actually a real thing, and that the issue of genetic between vs. within also holds true for different species (see: species is a social construct,) and yet we still recognize that “dog” is a useful word for describing a real category of things we encounter in the real world. Conservatives are prone to saying things like, “Blacks commit more crime than whites,” and liberals are prone to responding that the majority of black people aren’t criminals. I find that it helps a lot in understanding people if I give them the benefit of the doubt and try to understand what they mean, rather than get hung up on the exact words they use. 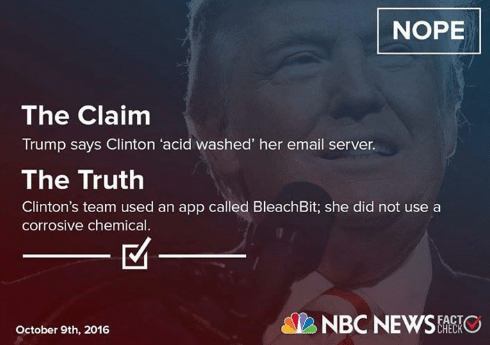 NBC perhaps went too far down this path when they claimed that Trump had lied for saying Clinton “acid washed” her email server, when in fact she had used an app called BleachBit. 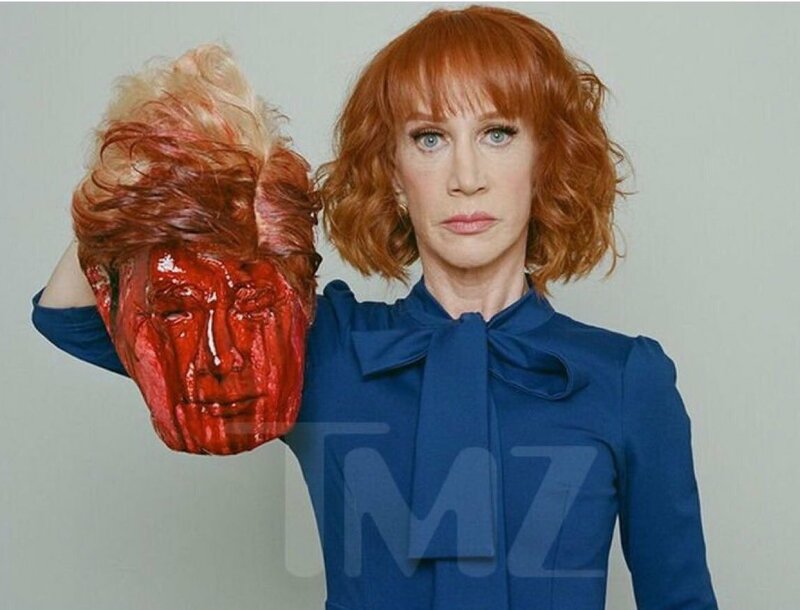 Sure, bleach is a weak base, not an acid, but I don’t think Trump was actually trying to discuss chemistry in this case. When the newsmedia claimed that the Syrian refugees pouring into Germany would be “good for the German economy,” this was obviously false. Yes, some Syrians are exceptionally bright, hardworking, motivated people who will do their best to benefit their new home. But most refugees are traumatized and don’t speak the local language. Few people would argue that the Syrian educational system turns out grads with test scores equal to the German system. It’s one thing to take refugees for pure humanitarian reasons, because you care about them as people. It’s another thing to pretend that refugees are going to make the average German richer. They won’t. When Trump says there is so much wrong with black communities, so much poverty and violence, he is, broadly speaking, correct. When Hillary says there is so much good in black communities, like black businesses and churches, she is, narrowly speaking, also correct. are more complex in other domains). Four studies (comprised of over 2,500 participants) evaluated this idea. … By making only small adjustments to a popularly used dogmatism scale, results show that liberals can be significantly more dogmatic if a liberal domain is made salient. Studies 2–4 involve the domain specificity of integrative complexity. A large number of open-ended responses from college students (Studies 2 and 3) and candidates in the 2004 Presidential election (Study 4) across an array of topic domains reveals little or no main effect of political ideology on integrative complexity, but rather topic domain by ideology interactions. Liberals are higher in complexity on some topics, but conservatives are higher on others. As I mentioned about a month ago, 25% of people are “supertasters,” that is, better at tasting than the other 75% of people. Supertasters experience flavors more intensely than ordinary tasters, resulting in a preference for “bland” food (food with too much flavor is “overwhelming” to them.) They also have a more difficult time getting used to new foods. One of my work acquaintances of many years –we’ll call her Echo–is obese, constantly on a diet, and constantly eats sweets. She knows she should eat vegetables and tries to do so, but finds them bitter and unpleasant, and so the general outcome is as you expect: she doesn’t eat them. Since I find most vegetables quite tasty, I find this attitude very strange–but I am willing to admit that I may be the one with unusual attitudes toward food. Echo is also quite conservative. This got me thinking about vegetarians vs. people who think vegetarians are crazy. Why (aside from novelty of the idea) should vegetarians be liberals? Why aren’t vegetarians just people who happen to really like vegetables? What if there were something in preference for vegetables themselves that correlated with political ideology? Mushrooms? Echo was just complaining about mushrooms. Let’s talk about disgust. Disgust is an important reaction to things that might infect or poison you, triggering reactions from scrunching up your face to vomiting (ie, expelling the poison.) We process disgust in our amygdalas, and some people appear to have bigger or smaller amygdalas than others, with the result that the folks with more amygdalas feel more disgust. Humans also route a variety of social situations through their amygdalas, resulting in the feeling of “disgust” in response to things that are not rotten food, like other people’s sexual behaviors, criminals, or particularly unattractive people. People with larger amygdalas also tend to find more human behaviors disgusting, and this disgust correlates with social conservatism. To what extent are “taste” and “disgust” independent of each other? I don’t know; perhaps they are intimately linked into a single feedback system, where disgust and taste sensitivity cause each other, or perhaps they are relatively independent, so that a few unlucky people are both super-sensitive to taste and easily disgusted. People who find other people’s behavior disgusting and off-putting may also be people who find flavors overwhelming, prefer bland or sweet foods over bitter ones, think vegetables are icky, vegetarians are crazy, and struggle to stay on diets. What’s that, you say, I’ve just constructed a just-so story? 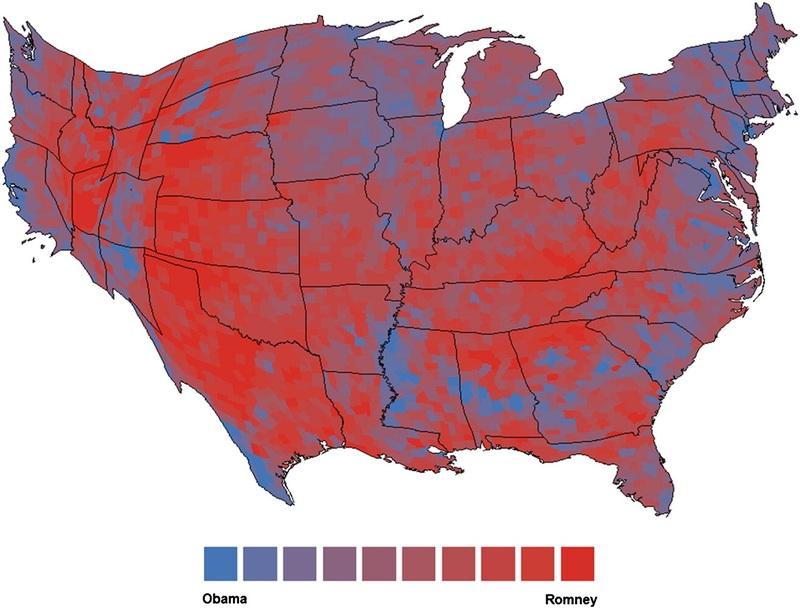 Michael Shin and William McCarthy, researchers from UCLA, have found an association between counties with higher levels of support for the 2012 Republican presidential candidate and higher levels of obesity in those counties. Looks like the Mormons and Southern blacks are outliers. The 15 most caffeinated cities, from I love Coffee–note that Phoenix is #7, not #1. Disgust also correlates with political belief, but we already knew that. Liberals are 28 percent more likely than conservatives to eat fresh fruit daily, and 17 percent more likely to eat toast or a bagel in the morning, while conservatives are 20 percent more likely to skip breakfast. Ten percent of liberals surveyed indicated they are vegetarians, compared with 3 percent of conservatives. Liberals are 28 percent more likely than conservatives to enjoy beer, with 60 percent of liberals indicating they like beer. (See above where Wikipedia noted that supertasters dislike beer.) 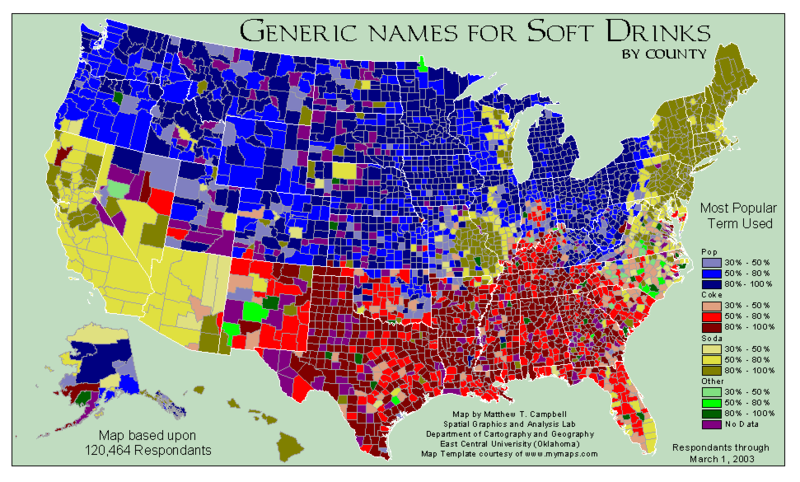 I will also note that coffee, which supertasters tend to dislike because it is too bitter, is very popular in the ultra-liberal cities of Portland and Seattle, whereas heavily sweetened iced tea is practically the official beverage of the South. The only remaining question is if supertasters are conservative. That may take some research. Update: I have not found, to my disappointment, a simple study that just looks at correlation between ideology and supertasting (or nontasting.) However, I have found a couple of useful items. I’ll let you know if I find anything else. Mainstream American conservatives (perhaps all conservatives) are essentially reactive. Not reactionary, mind. That word has a different meaning in this context. Just reactive. Liberals come up with new ideas, and conservatives react by opposing them. Liberals are high-class, in-party; their ideas make it into university curricula and influence the nation’s movers and shakers. By the time conservatives (who do not usually run in liberal circles, nor read much from university presses,) notice a liberal idea, it has already become quite widespread. And nothing makes an idea seem old and passe quite like having it suddenly associated with the out-party, the politically low-class and uncool folks who vote Republican. BTW, if you are the “homophobic uncle” or “racist grandma” at family functions, try to turn this into a secret power: make ideas sound bad just by talking about them. Global warming? Caused by immigrant-driven population growth! Rising wealth inequality? Clearly capitalists would rather hire illegal immigrants than pay blacks a living wage–build the wall! You support Hillary Clinton because she voted for the Iraq war! Etc. Report back to me if it works. I’m curious. But back on subject: the upshot of this is that by the time the Republicans notice something and start making a big deal out of it, it is already too late. The trends are already in place and moving inexorably against them. They have failed pretty spectacularly. While they have made some piecemeal hacks at abortion, it is still basically legal through out the country. Creationism and “Intelligent Design” have both been struck down as unconstitutional due to being blatantly religious. And you probably know the story on prayer in school even better than I do. Conservatives of the ’80s and ’90s could tell that the country was becoming increasingly secular, and reacted accordingly by trying to force it back to religiosity. Unfortunately for them, increasingly religious => fewer and fewer people who are even interested in their religious agenda. Despite the fact that abortion is still legal and school prayer is still illegal, even conservatives have moved on to other priorities. During Bush II, Republicans launched a big push to pass a constitutional amendment banning gay marriage. The measure failed; gay marriage is now not only legal, but constitutionally protected. No one bothered with passing an anti-gay marriage amendment back in the ’50s, when Republicans could have actually gotten the numbers necessary to do it. Since the vast majority of people thought homosexuality was immoral, there was no push to legalize gay marriage, and so no one would have bothered with passing amendments against it. Once enough people were in favor of gay marriage to put it on the national agenda, the trends were clear: soon the majority of people would favor gay marriage, and an amendment did not pass. It was the last, desperate thrashing of a cornered beast. Today, people have noticed–finally–that America’s demographics are changing. The time to care about changing US demographics was 1965, when LBJ and Ted Kennedy’s Immigration and Naturalization Act quadrupled the number of (legal) immigrants per year from 250,000 to 1 million. 1975 and 1985 would also have been good years to start caring. In 1950, there were 500,000 Hispanics in the US. Today, there are 5o.5 million. Even if you built a wall between the US and Mexico yesterday and deported 11 million illegal immigrants, that would still leave 39 million newcomers and their children whom you cannot get rid of. 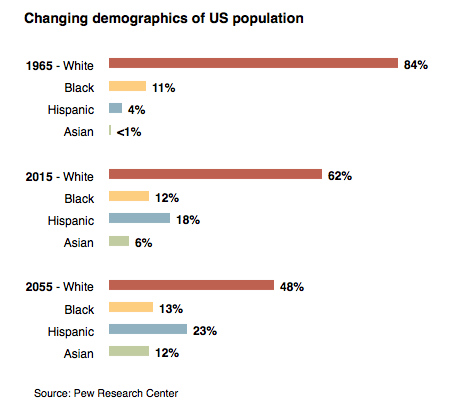 By 2050, the US will be less than half white, and American children will be only 40% white. Interestingly, the last time a Democrat won a majority of white votes was 1964–LBJ. Republicans have been the “white” party–though they may not have realized it–since 1968. 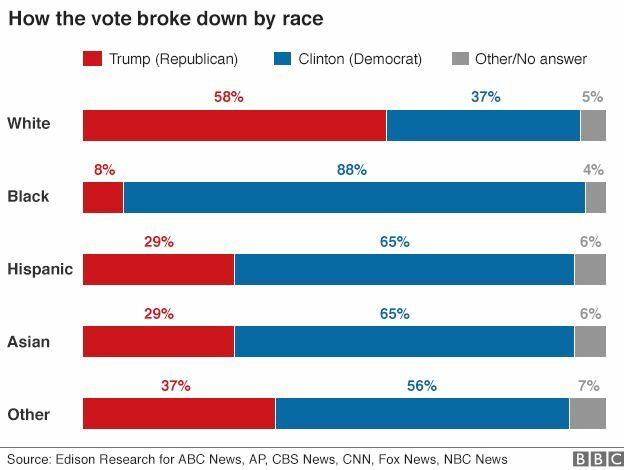 But this does not mean that whites vote overwhelmingly for the Republicans. Even blacks occasionally vote for Republicans–about 5% of them voted for Bush II. As whites near 50%, even 10% voting for the Democrats will consign Republicans to the losers, while an identifiably “white” party will have difficulty attracting non-white voters. 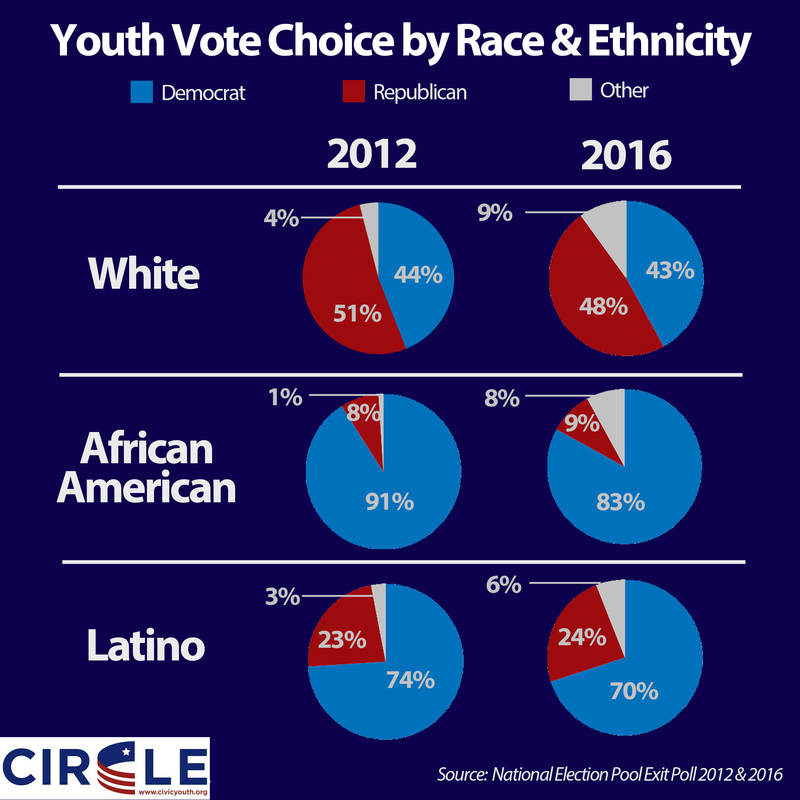 No matter how much effort the Republicans put into attracting white voters (and likely they will put a great deal of effort into it over the next few elections,) the numbers are moving against them. But we live in a two-party system, and the system will re-assert itself with a new set of balanced coalitions that can win, perhaps a system that pits Hispanics and Asians against whites and blacks, or some other random thing. (I am not guessing.) But that won’t happen until the Republicans are weak enough that Democrats can safely split.